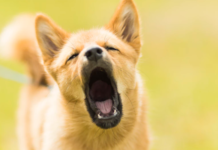 How Can Glucosamine For Dogs Help? How Long Does It Take Glucosamine For Dogs To Work? Does Glucosamine Always Improve Joint Function? As a pet owner, or as some like to say — a pet parent – it’s tough watching older dogs change from playful pups to inactive seniors. According to the pet section of WebMD, many behavior changes in aging dogs are simply symptoms of problems that can be treated with affordable remedies. 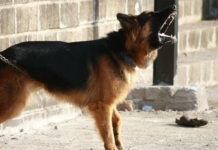 Very often, when a dog slows down, it’s simply a sign that they suffer from joint pain. Glucosamine is one natural remedy that may help reduce discomfort and rejuvenate your furry friend. 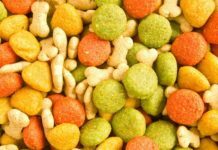 This natural substance is already in your pet’s body. In fact, it’s in your body too. You will find the highest concentrations of glucosamine in healthy cartilage. The main function of Glucosamine is to help create and repair tissues in the body. While this substance has been studied as a remedy for dogs, it was first explored as a remedy for people who suffered from joint problems, usually as a result of natural aging. For instance, the Arthritis Foundation explored the topic of using substances for people and considered them generally safe. They also said that some people benefited from their use. As dog’s age, their natural production of this substance slows down. Of course, the same is true for people. It’s just that humans typically have longer lifespans than dogs do, so it takes longer for this to happen. People aren’t usually considered seniors until they are in their 60s, but vets may consider your pet a senior dog at the age of seven or eight. Typically, larger dogs age faster than smaller ones do. Bigger dogs also put more weight upon their joints, so this is typically a more serious problem for large breeds than for small ones. Anyway, the slowdown in production of glucosamine can be seen on the outside when pets are less willing to move around, rest more, and may exhibit other changes in their behavior. Your grandmother can tell you that her joints hurt, but your dog can only show you that he or she has a problem. Here’s the good news. 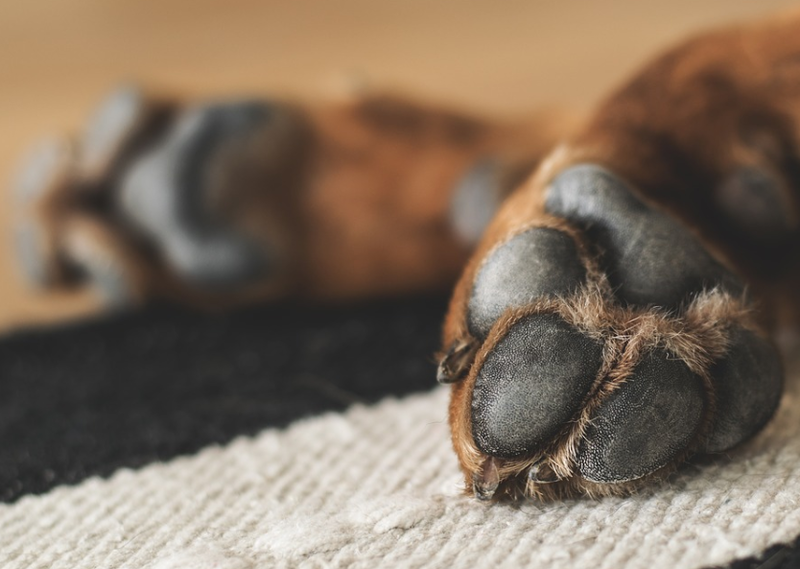 Some research and people’s experiences have demonstrated that natural supplements that contain glucosamine for dogs may help supply more of this necessary, natural substance. This means that they can also help with the repair and growth of cartilage. This may help relieve pain and restore function for aging dogs that suffer from mobility issues. These supplements are generally very affordable. Also, they won’t have the side effects of prescription medication for your dog. In fact, noticing any undesirable side effects is extremely rare with these supplements in humans or dogs. 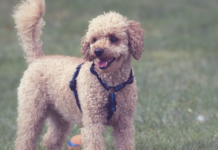 If they can help keep your pet more active, they can also help improve other aspects of their physical and mental health. You can’t expect this supplement to work right away. It takes a couple of weeks to for the dog’s body to use this natural substance to repair and grow cartilage. Generally, the dogs will begin with a higher dose for a few weeks and then this gets reduced to a maintenance dose. Pet owners should give the supplement at least a month to six weeks to see if they notice signs of improvement. Some good signs include more playfulness and activity. Of course, the dog should act happier when it doesn’t feel severe pain every time it moves. 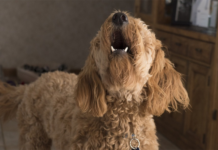 For dogs in serious pain, it may be best to work with the vet to determine the level of meds needed to reduce discomfort as the supplement is tested. Sadly, this supplement doesn’t always appear to improve joint pain. That may be because the pain stems from another source besides simple natural aging. During the course of the dog’s life, they may have sustained an injury that aging has aggravated. Sometimes it also works better if the supplement is combined with a couple of other substances. These include Chondroitin and MSM. The three substances may work together better than glucosamine can work alone. It’s always best to shop for a high-quality supplement that has worked well for other dogs and their owners. Just like people, most dogs will slow down as they age. The problem is usually more acute with bigger dogs because their joints have to support more weight. Also, it’s tougher to simply pick up a big lab than a toy poodle to transport them around. Since these natural supplements are generally considered safe, they are certainly worth a try to help improve the quality of life for older dogs and people.